A closed door may slow the spread of smoke, heat and fire. Install smoke alarms in every sleeping room and outside each separate sleeping area. For the best protection, make sure all smoke alarms are interconnected. An ionization smoke alarm, in general, is more responsive to flaming fires, and a photoelectric smoke alarm, in general, is more responsive to smoldering fires. For the best protection or where extra time is needed to awaken or assist others, both ionization smoke alarms and photoelectric smoke alarms or combination ionization-photoelectric alarms, also known as dual sensor smoke alarms, are recommended. #1 is looking down the hallway toward the bedrooms. You can see that there was a tremendous amount of heat and smoke generated with this fire. 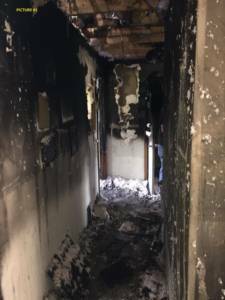 The fire originated in a bedroom on the left side of the hallway. Picture #2 is in the hallway facing one of the children’s bedroom on the right side of the hallway. 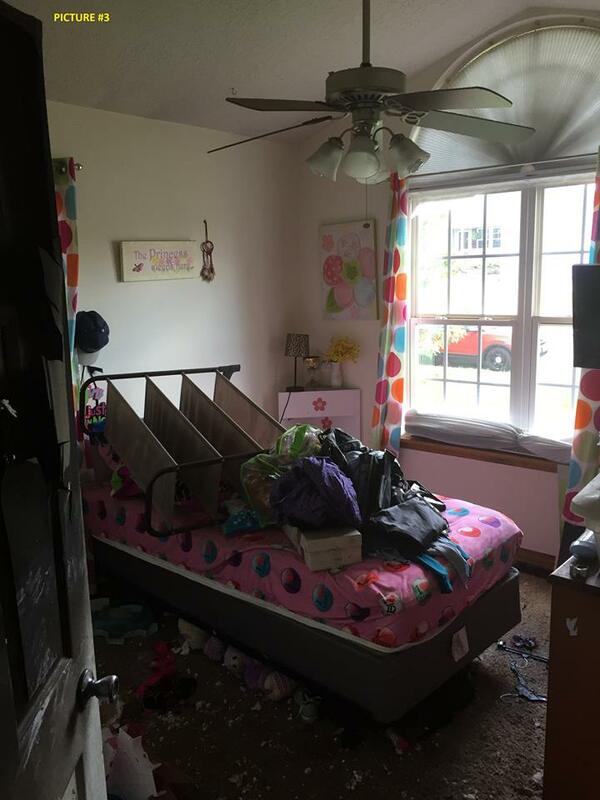 The door to this particular bedroom was shut at the time of the fire. 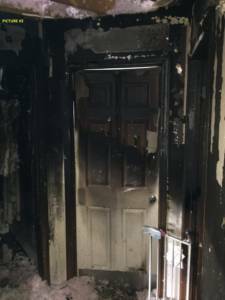 Notice the heat and smoke damage to the exterior of the door. Picture #3 is looking into the bedroom with the shut door on the right side of the hallway. Notice the difference, this room has very little signs of smoke and heat damage. Picture #4 is looking into another bedroom next to the bedroom with the shut door on the right side of the hallway. 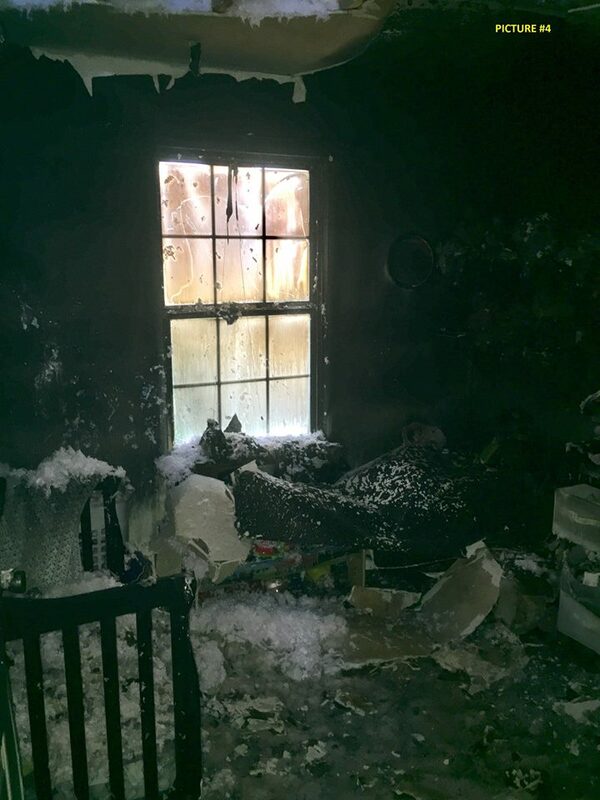 This bedroom had an open door and is completely destroyed by heat and smoke. The difference is incredible. Closing interior doors can not only buy you time if trapped in your house during a fire, but also can prevent the fire from spreading as quickly to those rooms. 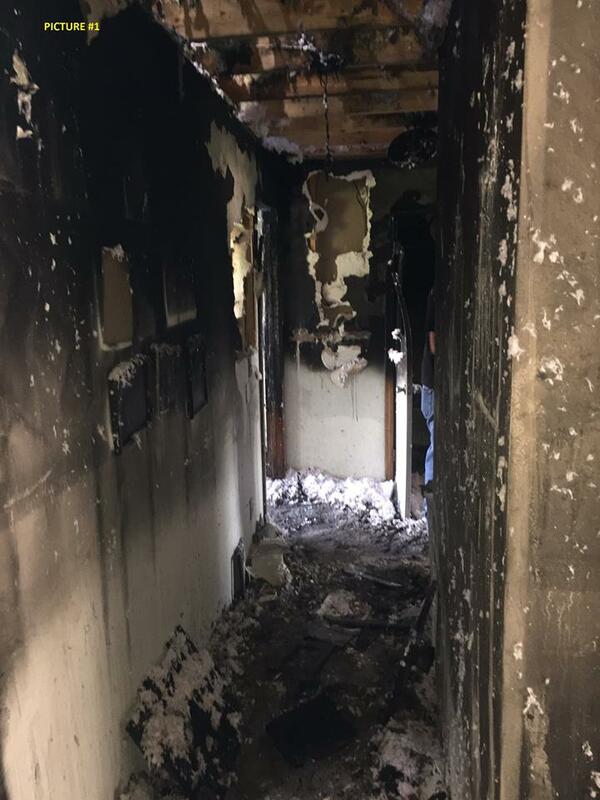 We appreciate the occupants of this fire who while still emotionally dealing with the loss of their home still allowed us to present this safety message to you. 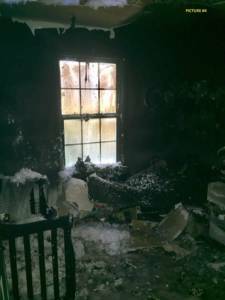 It should be noted that the family was not inside the house when the fire started and no one was injured. Thank you to the Joplin Fire Department for allowing everyone to share the above images and findings.